Pahrump is not known for having an abundance of water. In fact, the one lake it did have has been dry since the Ice Age. But there are some artificial lakes in town that are not at Mountain Falls Golf Course. One of the biggest ones is Lake Spring Mountain, an artificial lake built around five years ago at Spring Mountain Motorsports Ranch. The Lake was the ranch’s gift to the town, and they open it every Memorial Day for swimming and fun under the sun, all the way to Labor Day Weekend. The 4-acre freshwater lake is like a giant pool, but with sandy beaches. According to Spring Mountain, the sand was imported from some far off tropical island, which is kind of neat. The sand is great for building sand castles and the sand is clean. There is no debris or trash of any kind that one would find on the public beaches. The lake is open on Saturday through Monday, from 10 a.m. to 6 p.m. Guests will be able to enjoy cabana rentals and watersports rentals, such as paddle boards, pedal boats, kayaks, and rafts, as well as jetpack and jetboard flights, white sand beaches, and recreational swimming. As far as the people in town, they look at the lake as something for the younger kids to do to keep cool during the hot summer months. I would have to venture that the most interesting things to do are the Jetpack and jetboard flights. I have never done it, but if you are thrill seeker and love that roller coaster ride it probably would suit you. Day Passes during the holiday weekend are available for all ages Saturday through Monday. Day Passes can be purchased at the Welcome Center for $15 per person and $10 per child, 17 years of age and younger. Twilight passes are also available for adults joining from 4 pm to 6 pm for $10 per person. Non-holiday weekends are open Saturdays and Sundays only. By today’s standards these prices are pretty good. My daughter loves to go down there with her twenty-something friends and hang out all day. For the most part, the lake is popular with the twenty and thirty something crowd that have a few kids too. While the lake has water but no fishing and no power boating, there are other water crafts for rent. 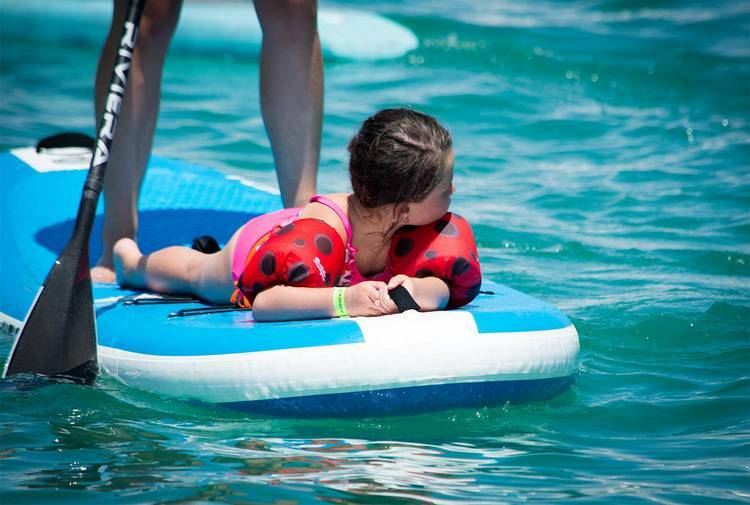 Watersport rentals of paddle boards, pedal boats, kayaks, and rafts are $15 for an hour and $20 for two hours. 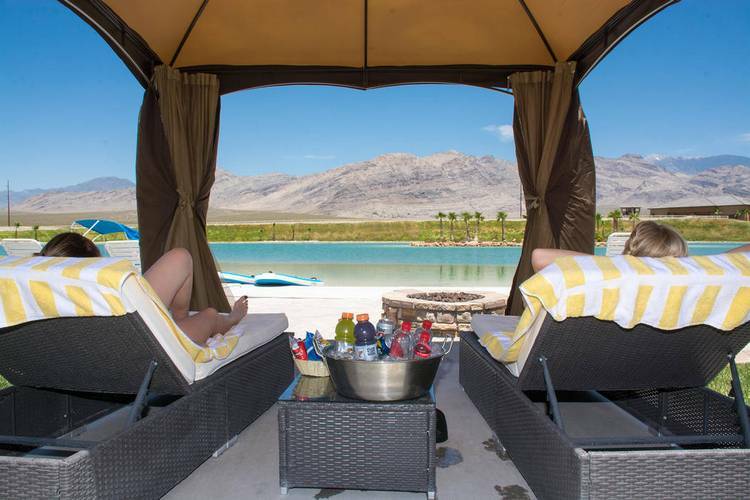 Cabana rentals are also available for $100 for four hours or $150 for a full day and includes two lounge chairs, towels, a cooler of beverages for four, including soda and water, and snacks. The fun stuff like getting in the water and doing the paddle boats are all good for the kids, but what about the adults? Well there is a full-service bar for those adults that like an occasional adult beverage. The Tiki Bar bar borders the lake and offers covered seating, along with alcoholic beverages, soft drinks, water, and food and snacks for purchase. Jetpacking and jetboarding will be available at Lake Spring Mountain Wednesdays through Sundays from 10 a.m. to 6 p.m. Jetpack and jetboard flights start at $99 on weekdays and $129 during the weekend. The Lake at Spring Mountain is really the only thing open to the public for the motorsports ranch is a private club and school for members to race and learn how to race cars. The ranch though will soon have another component and that is a new hotel, casino, movie theater and shopping, which will also be open to the public. According to Spring Mountain Motor Sports Ranch, the new casino will break ground around December and should be done sometime in 2019. 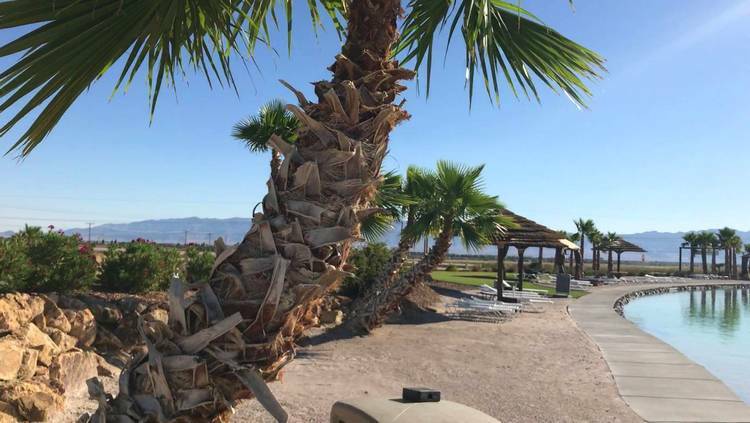 To book your hydro flight, cabana rentals or group event, please contact us at 702.302.9462 or info@lakespringmountain.com.